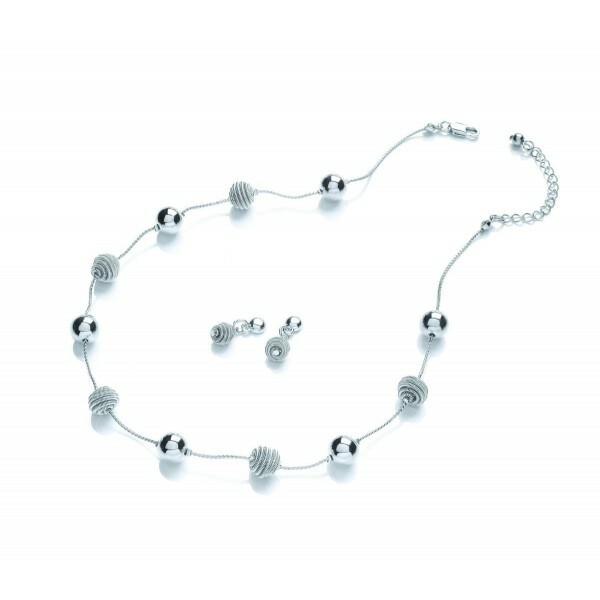 This pretty set combines Buckley's stylised spiral snail component and shiny 925 sterling silver plated beads. With matching spiral studs, this set is sure to be a firm favourite. Necklace length 42cm (16.5') plus 8cm (3') extender. Earrings feature a post and butterfly fastening suitable for pierced ears only.